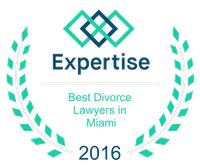 Spousal Support or Alimony | Miami Family Law Lawyers Vilar Law, P.A. In some divorces, spousal support or alimony may be awarded by the Court depending on a consideration of various factors, the marital history, and the particular financial circumstances of the parties. There are various types of alimony and the court can award one of, or a combination of, those types. The court can award Permanent Periodic Alimony, Rehabilitative Alimony, Bridge the Gap Alimony, Durational Alimony, Lump Sum Alimony, Temporary Alimony, Nominal Alimony, and Retroactive Alimony. The first factor for the award of alimony or other form of spousal support is the need of the receiving spouse in relation to the ability of the paying spouse to pay. The amount of alimony and the duration of the payments are calculated by taking into account the factors established by the statute. Permanent periodic alimony may be awarded to provide for the necessities of life as they were established during the marriage for a party who lacks the financial ability to meet his or her needs following the dissolution of the marriage. Rehabilitative alimony may be awarded to assist a party in establishing the capacity for self-support. Bridge-the-gap alimony may be awarded to assist a party by providing support to allow the party to make a transition from being married to being single. Bridge-the-gap alimony is designated to assist a party with legitimate short-term needs. The duration of this form of alimony award may not exceed two (2) years. Durational alimony may be awarded when permanent periodic alimony is inappropriate. The purpose of durational alimony is to provide a party with economic assistance for a clearly defined period of time following a marriage of short or medium duration. Lump-sum alimony may be awarded in the form of a non-alimony property interest, as a support payment, or to insure an equitable distribution of marital property if there is justification for the award and a corresponding financial ability to pay. There are two (2) requirements for an award of lump sum alimony: (1) the award must be identified as either necessary for support, or for use as an equalizing payment; or (2) there must be unusual circumstances that would require a non-modifiable award of support. The purpose of temporary alimony is to provide subsistence to a party in need during the progress of the case and consists of recurring payments ordered by the Court after the filing of the petition for dissolution of marriage. Like all forms of alimony, temporary alimony depends also in the paying spouse’s ability to pay. Nominal alimony is permanent periodic alimony paid in very small amounts, such as $1.00 per year, and is ordered to preserve the rights to a needy party when the payor spouse’s ability to pay is deferred or temporarily restricted. Alimony is one of the areas of family law which generates the most litigation. The complexity of the process and the wide discretion given to the Court in awarding alimony make the outcome a bit more difficult to predict. It is essential in this critical area to have the advantage of an attorney who can draw on many years of experience in gauging how a Court will react to the evidence in a case involving issues of alimony. The rights involved, the complexity of the process, and the discretion of the court all lead to more ambiguity, which can cause additional litigation. The assistance of competent and experience counsel is critical to address this area of the law in a dissolution of marriage.